We are the pioneers designing radically life-giving places to work. The Work Revolution is the collaborative effort of a few passionate people who contribute purely out of excitement for the cause. Essentially, we all desperately want to see more amazing places to work, and we know if enough of us want that badly enough, it can’t not happen. 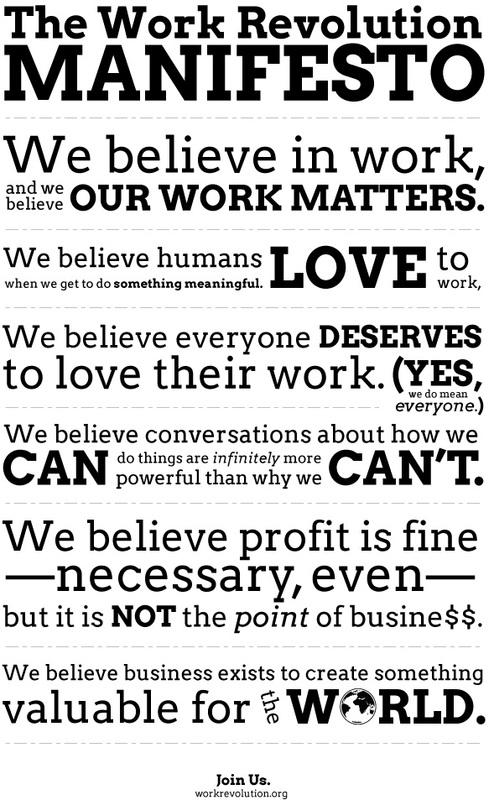 At the moment The Work Revolution is completely a not-for-profit side passion project for all of us. Go here to learn more about the founders/organizers.